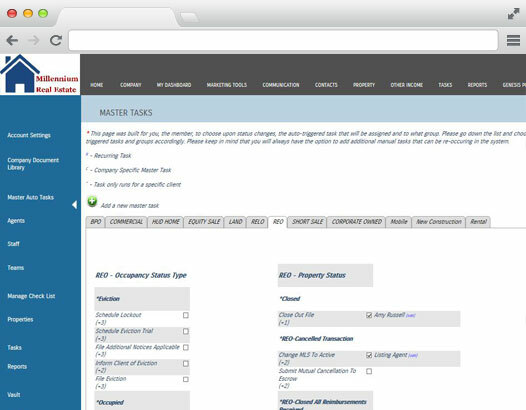 RIO Office Suite is the complete real estate brokerage organizer. Designed to enhance your brokerage's efficiency and productivity, RIO Office Suite is the only real estate broker software solution you need. 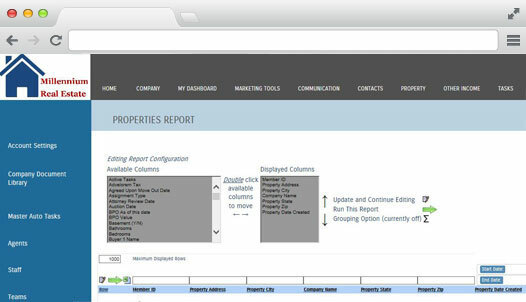 As the only true complete real estate software on the market, RIO Genesis has all the tools you need to manage your real estate brokerage all in one easy to manage software. Mitigate liability and monitor trends, anytime from anywhere using this truly mobile solution. RIO Office Suite easily manages all aspects of every transaction in your office for you and your agents while reducing legal risk, and dramatically increasing per agent production! Office management and compliance now takes just minutes per file. Automate paperwork and see how many more homes your agents sell! 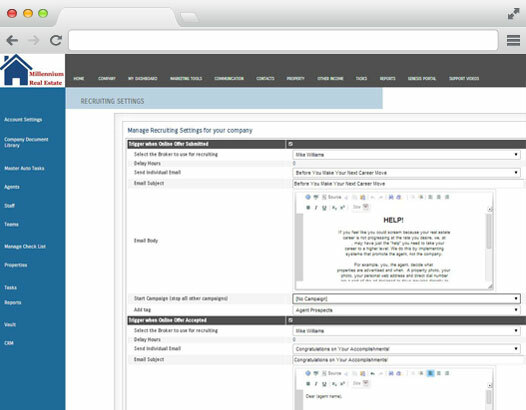 Real Estate broker software has jumped to the next level in office efficiency. 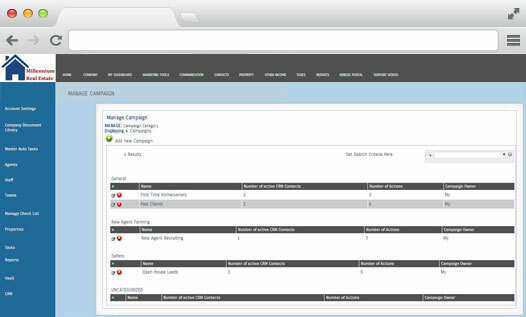 Fostering and maintaining business relationships is made easy with our full range of features designed to automate prospecting and keep your agents selling. Agents hate prospecting. Let RIO Genesis do the work for them! With RIO Office Suite as your real estate broker software solution, we will prove to you that we truly are your partners in real estate sucess!